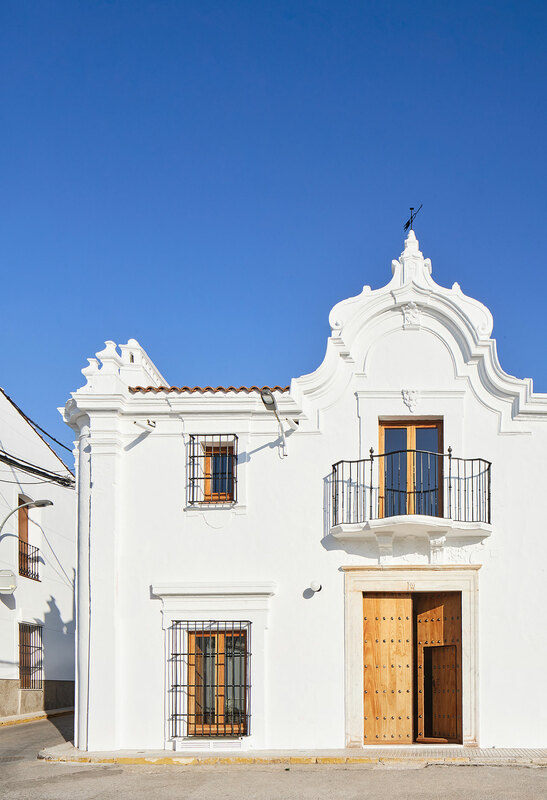 Surrounded by gently undulating vineyards, the small Spanish town of Villalba de los Barros is characterised by whitewashed houses coalescing below an imposing ancient castle. 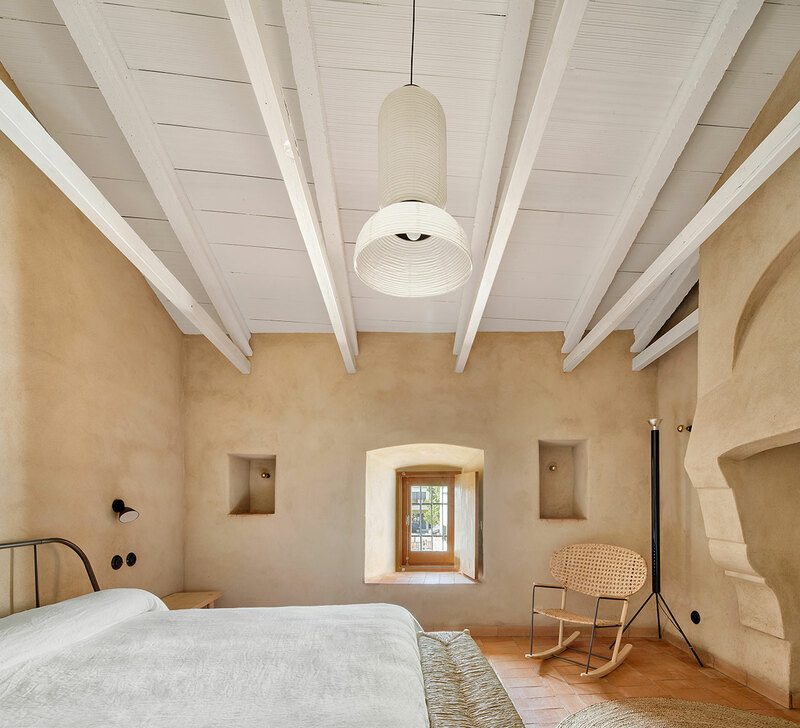 Right in the centre of this scenic setting, on the town’s main square, one of the area’s most interesting houses has been transformed by Madrid-based architectural practice Lucas y Hernández-Gil into a unique rural guesthouse that embraces the building’s architectural heritage while offering guests a taste of contemporary hospitality. 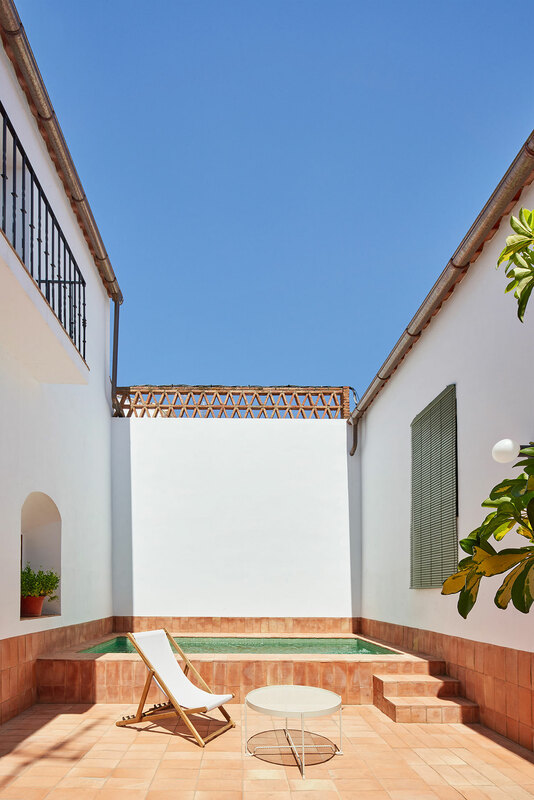 Named “La Hermandad de Villalba”, or the Brotherhood of Villalba, the guesthouse occupies an 18th century, two-storey building that stands out for its ornate façade which has been beautifully restored. 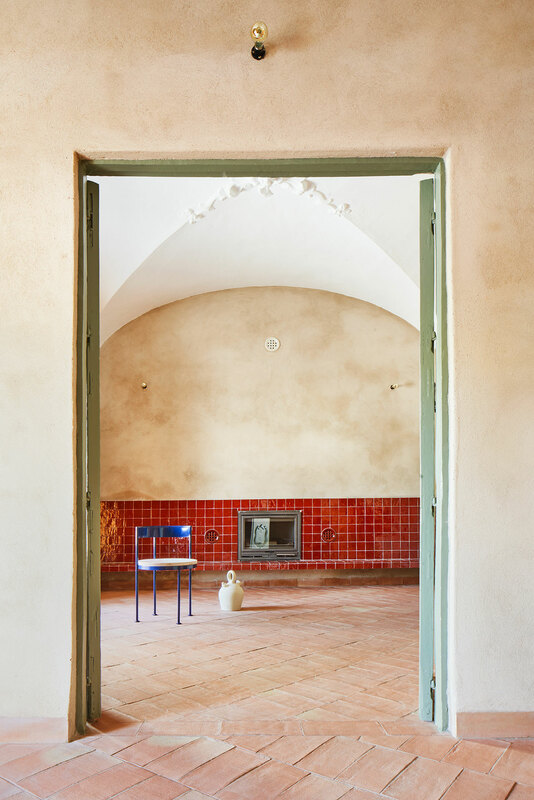 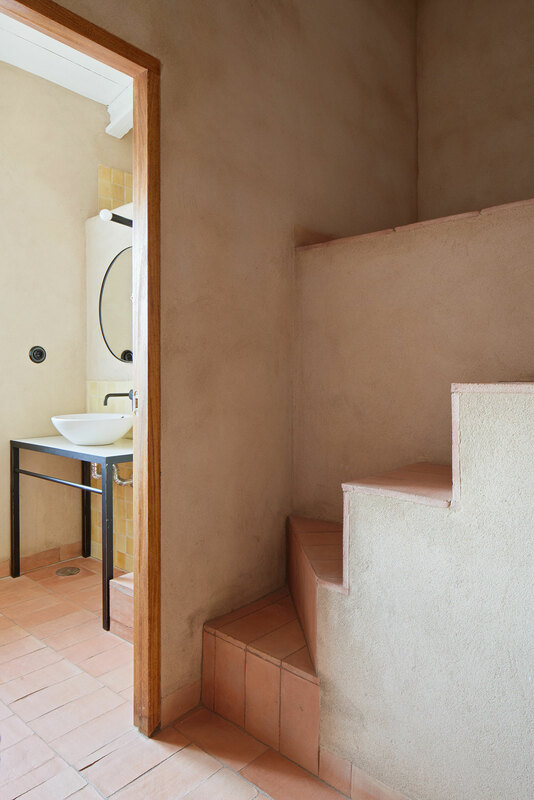 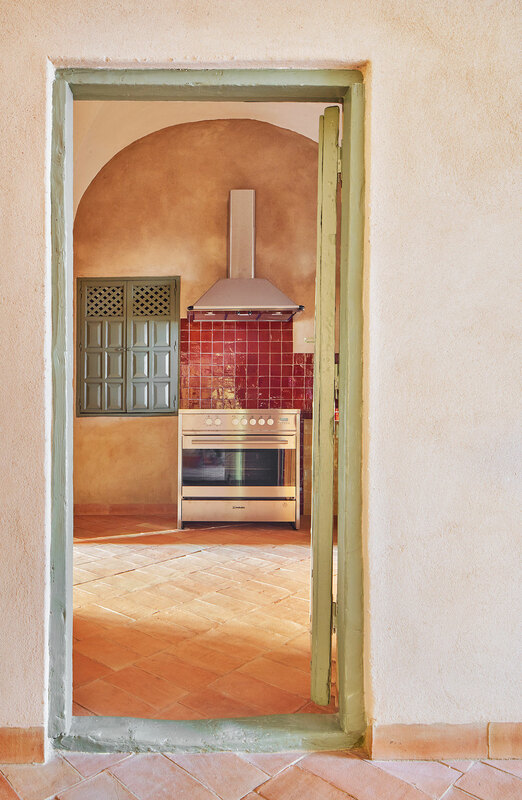 On the ground floor, where the building’s original layout has been retained, the communal areas of the guesthouse are arranged in discrete rooms: a hallway, a sparse living area, a large dining room and a kitchen as well as a walled patio at the back. 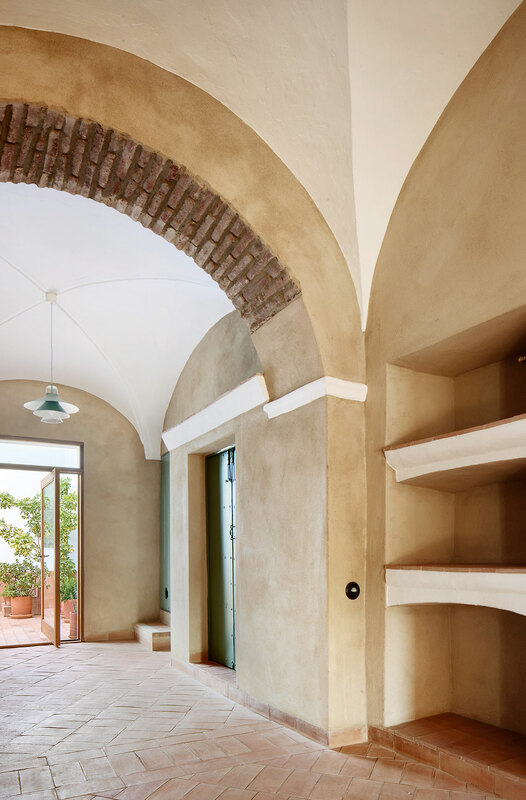 The architect’s only architectural intervention was the introduction of new openings onto the backyard and between the rooms. 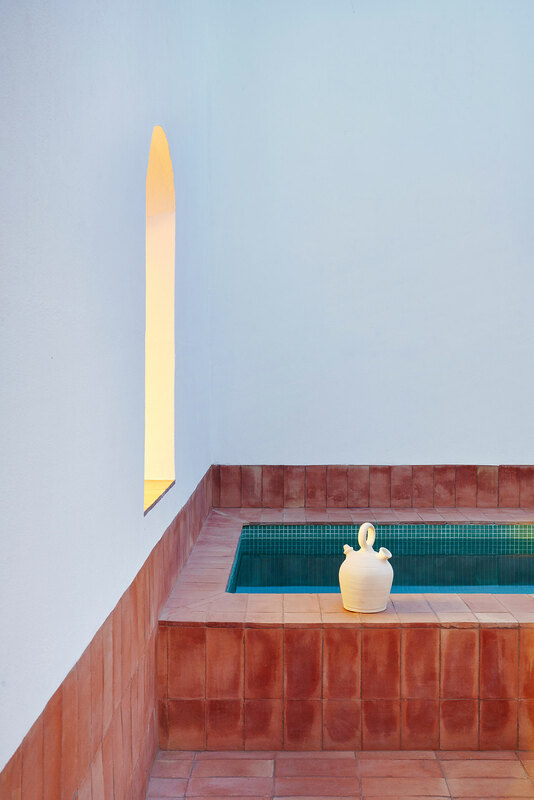 The openings introduce more daylight into the interior but also frame views of the elegantly transformed courtyard which now features a small swimming pool that guests can enjoy during hot summer days. 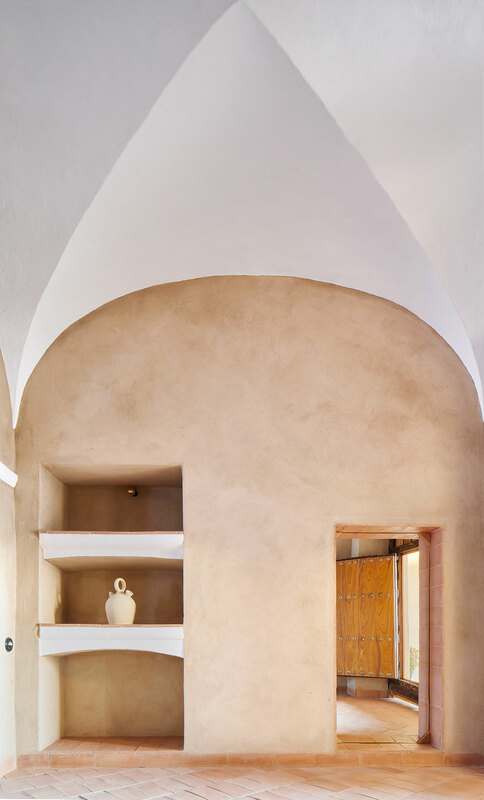 Undoubtedly the most impressive architectural feature of the building is the groin vaults on the ground floor which along with the accompanying decorative plasterwork have been meticulously restored to their original grandeur. 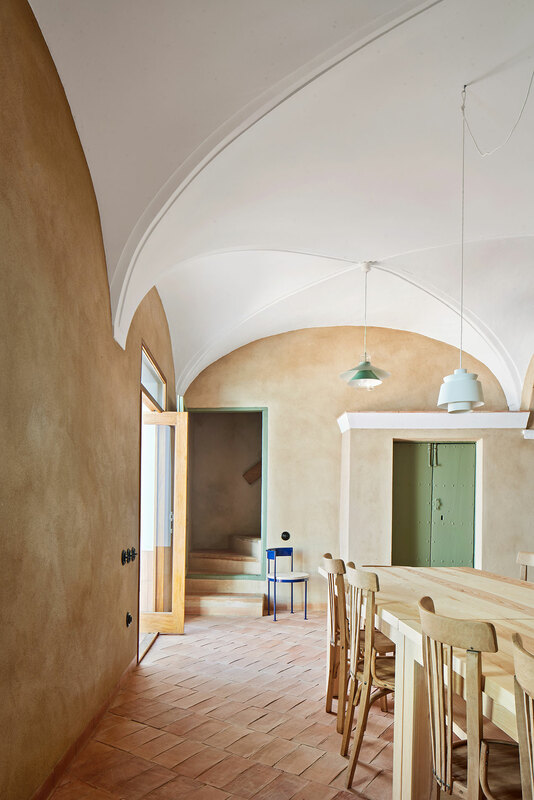 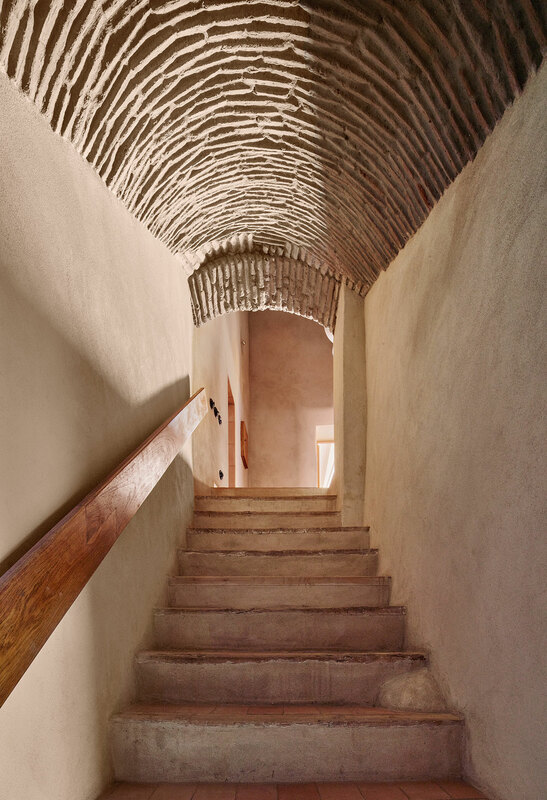 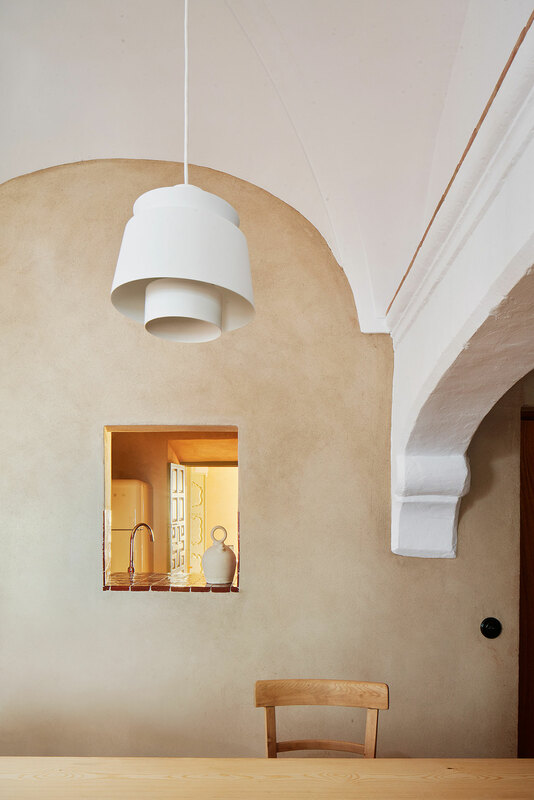 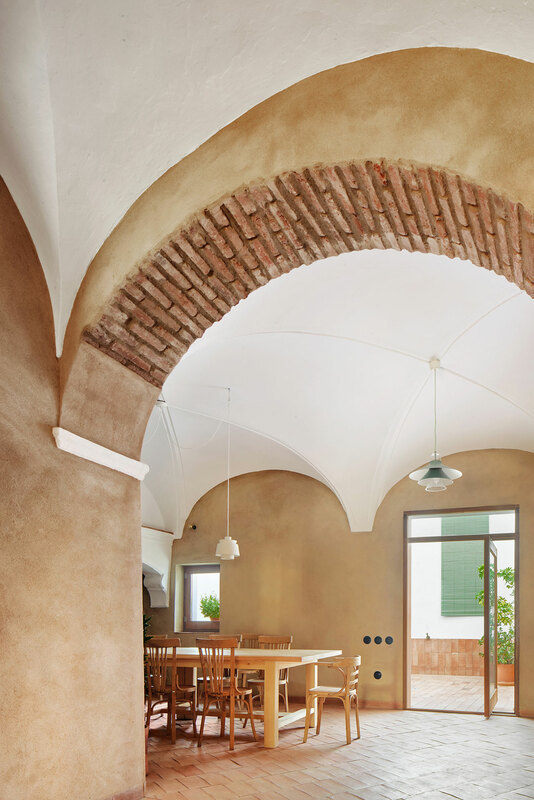 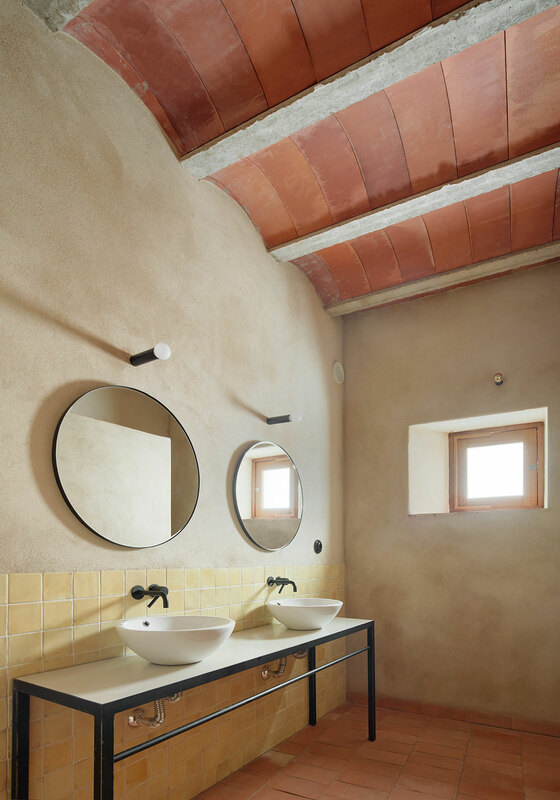 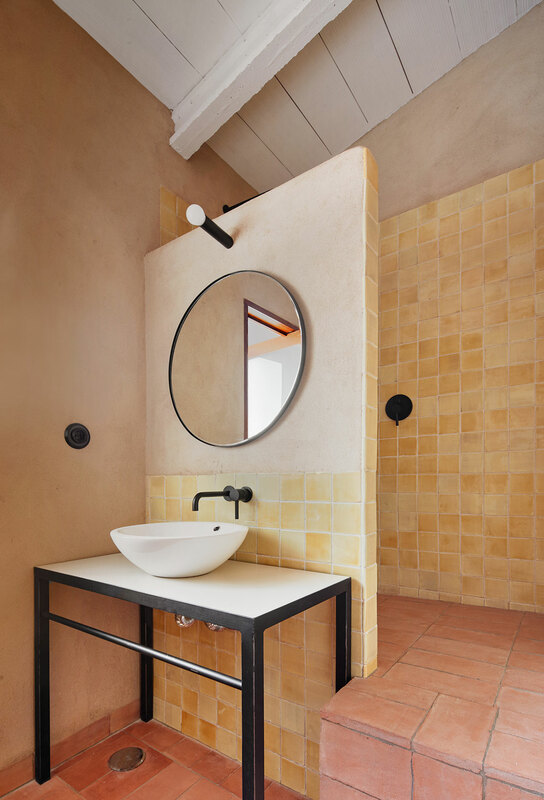 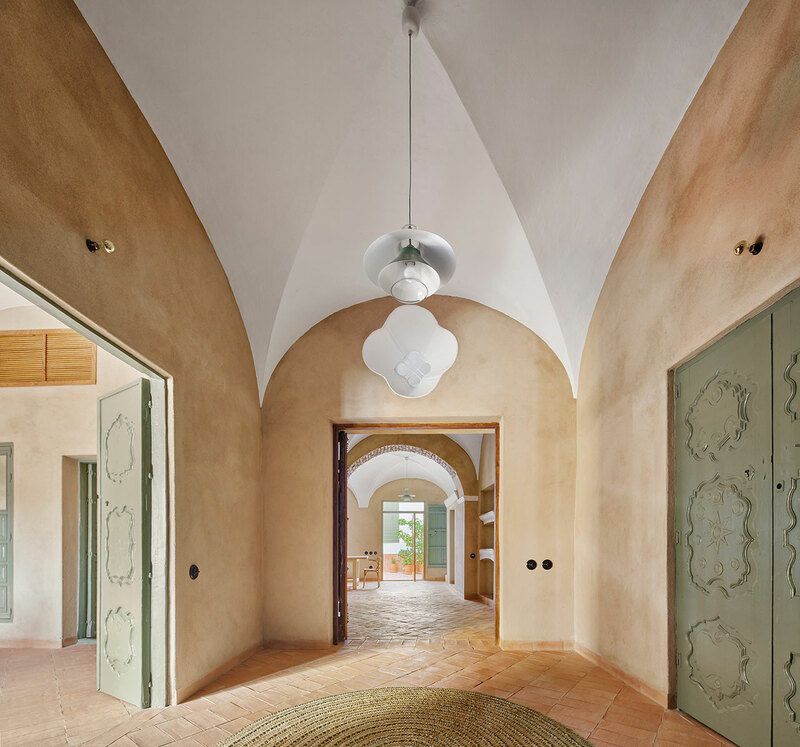 Rendered in white limewash in juxtaposition to the ochre hues of the lime mortar walls, the vaults appear to float above the rooms which are grounded in the earthy aesthetic of the floor tiling. 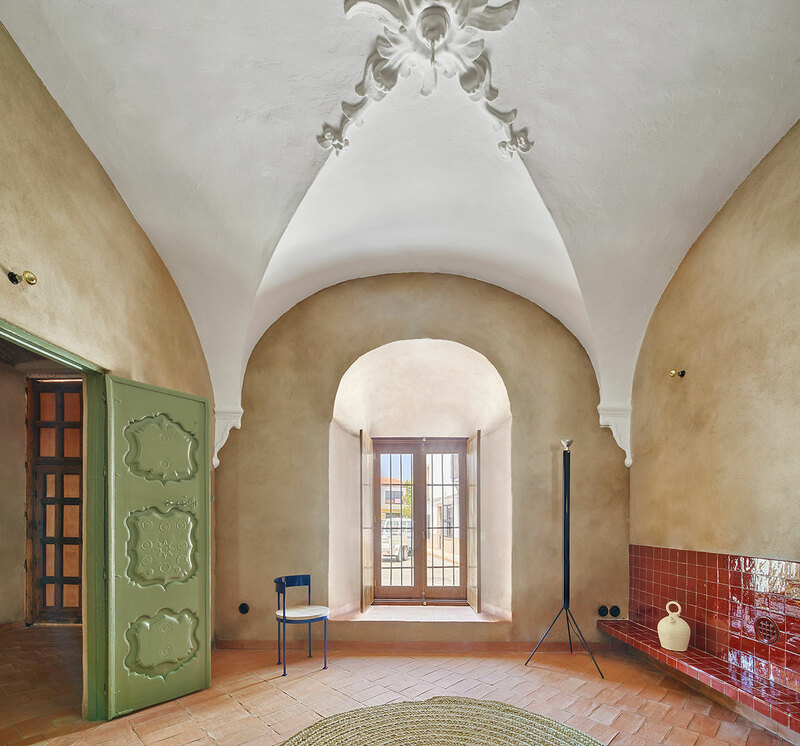 In fact, with the floors being the one original feature that were sadly lost, the architects commissioned local potters to make baked clay tiles similar to the ones that furnished the house three centuries ago. 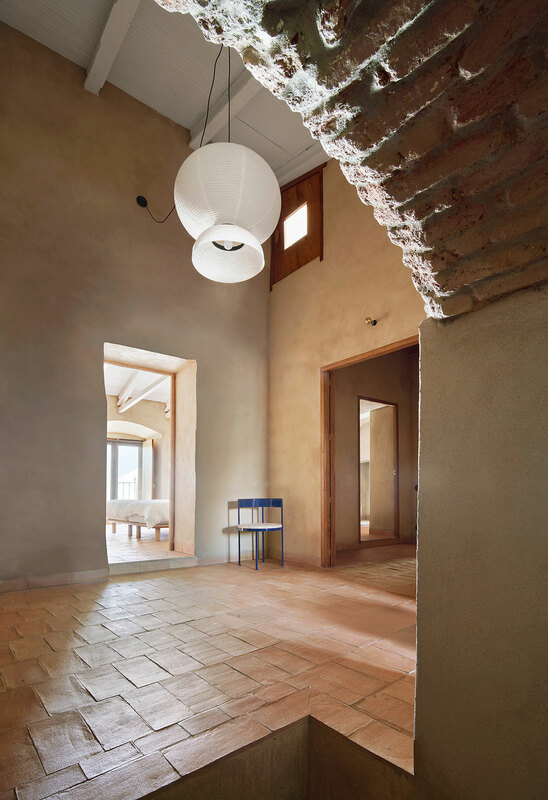 Instead of following the original grid though, the tiles have been cleverly arranged in a diagonal grid that both mirrors the diagonal lines of the vaulted ceilings and allude to the floor’s contemporary nature. 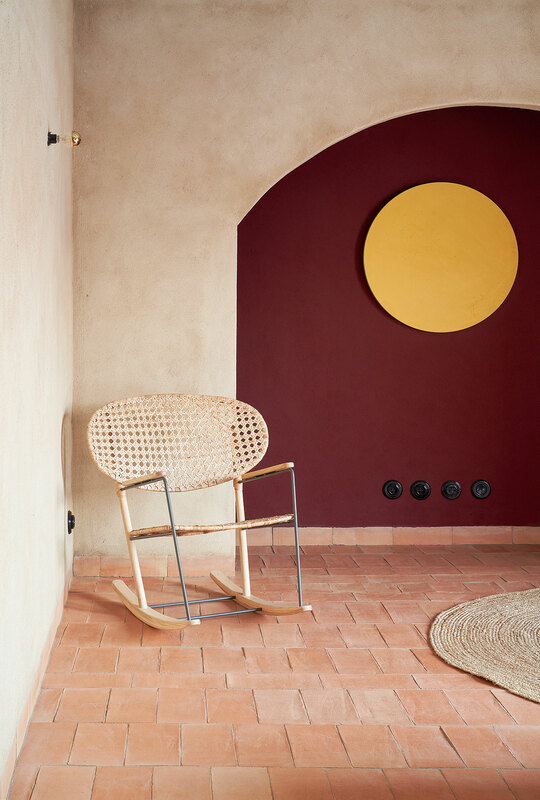 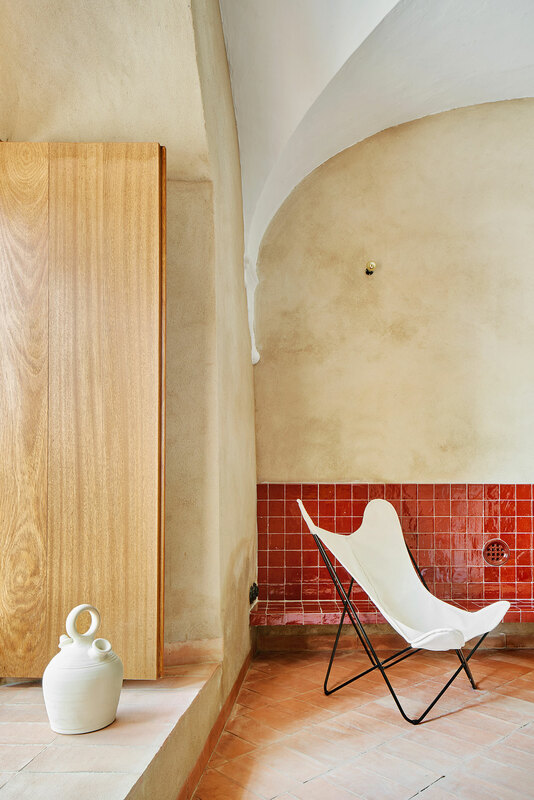 The earthy tones of the walls and floors are complemented by sections of exposed brickwork invigorated by bright red ceramic tiling in the living room and the mint colour of the richly decorated doors and window shutters. 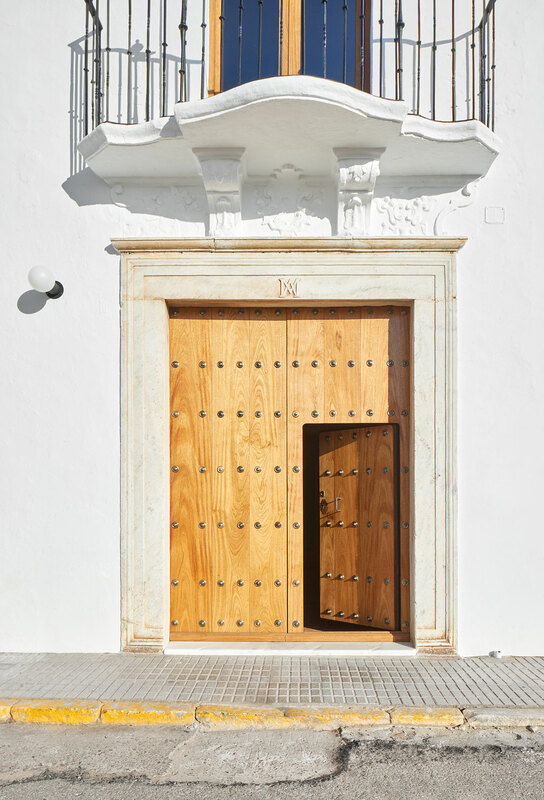 The carpentry work in particular stands out both for the meticulous restoration of such elements as the doors and for the exquisite craftsmanship of those elements that had to be added. 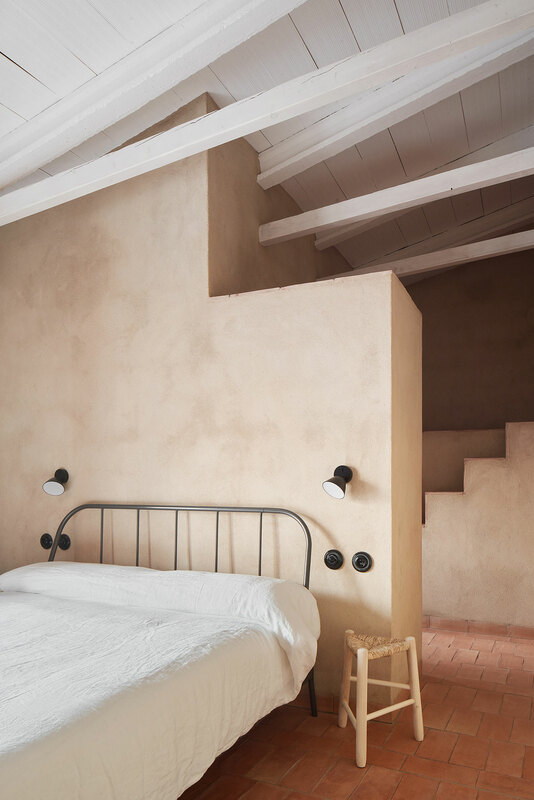 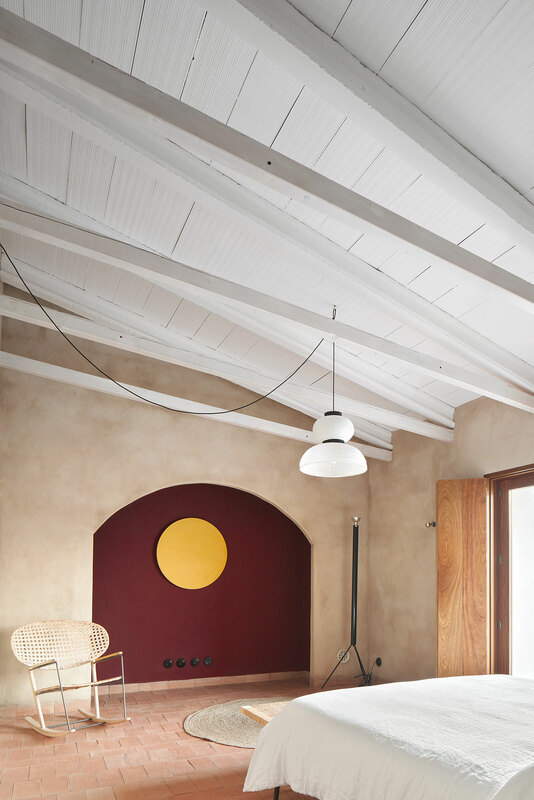 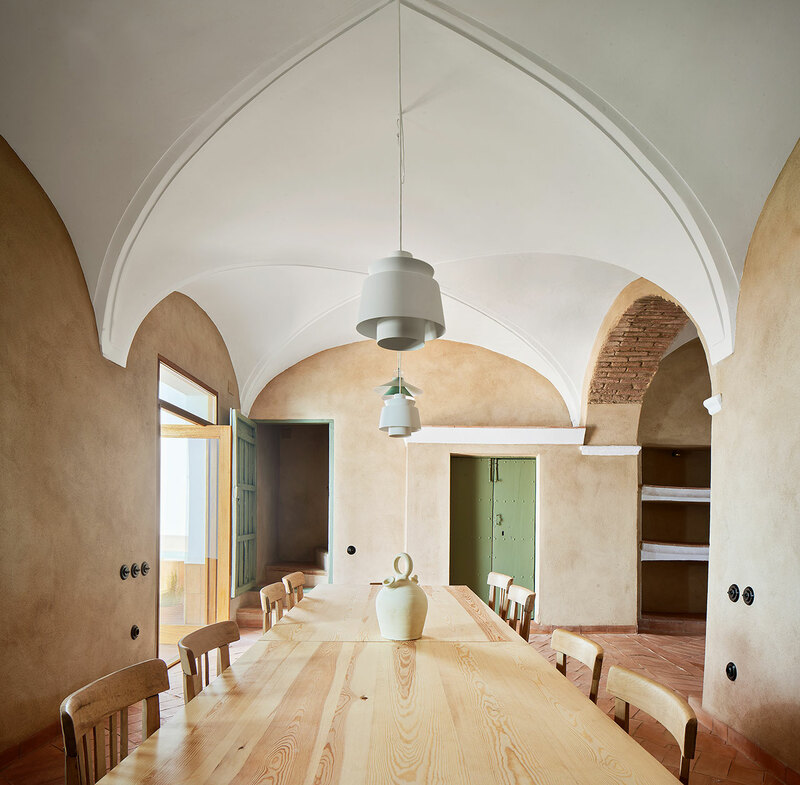 Similar materials adhering to the same colour palette have been used for the private quarters on the upper floor, an attic space where in the old days cured meat used to be dried and stored. 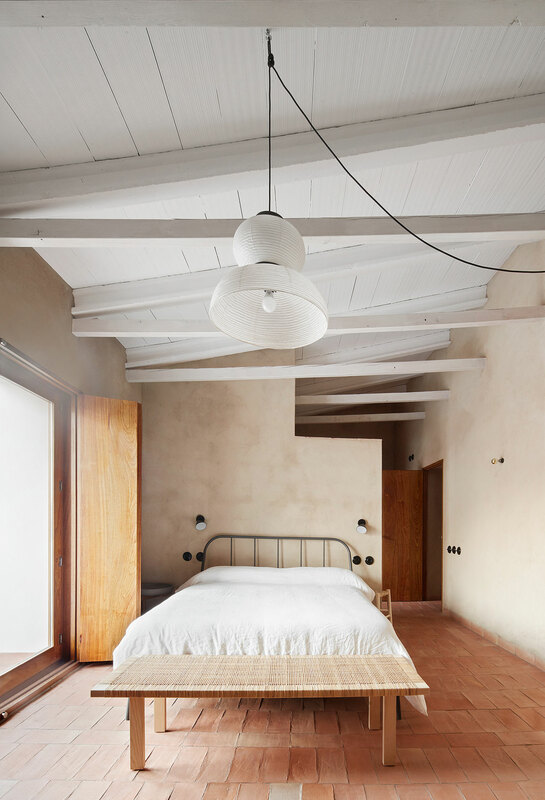 In this part of the house the architects have introduced a brand new layout in order to accommodate three bedrooms, including a master bedroom with en-suite bathroom, but have stayed faithful to the unique rural character of the house in terms of scale, finishes and furniture. 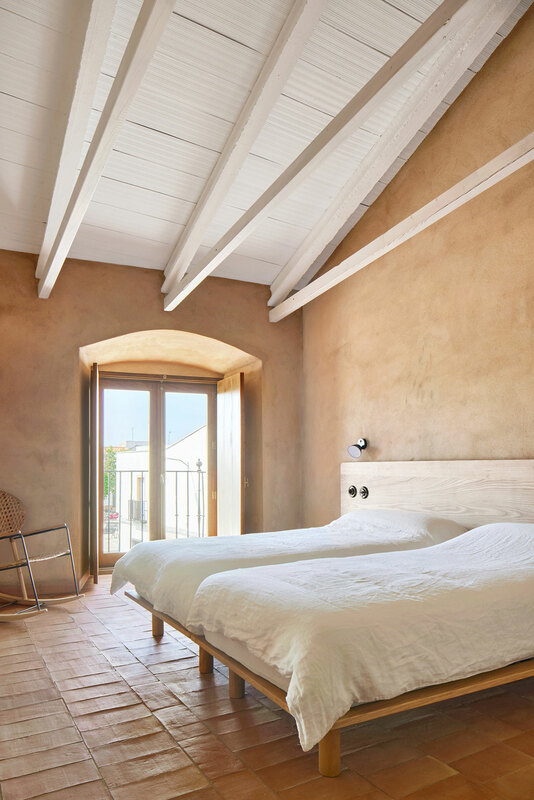 Vernacular lodgings haven’t looked as effortlessly refined in a long time.